Last week before the El Catrin launch party (I didn’t think there would be so much food) I had dinner with my blogger friend, Melody at Rock Lobster on Queen West where Shanghai Cowgirl used to be. 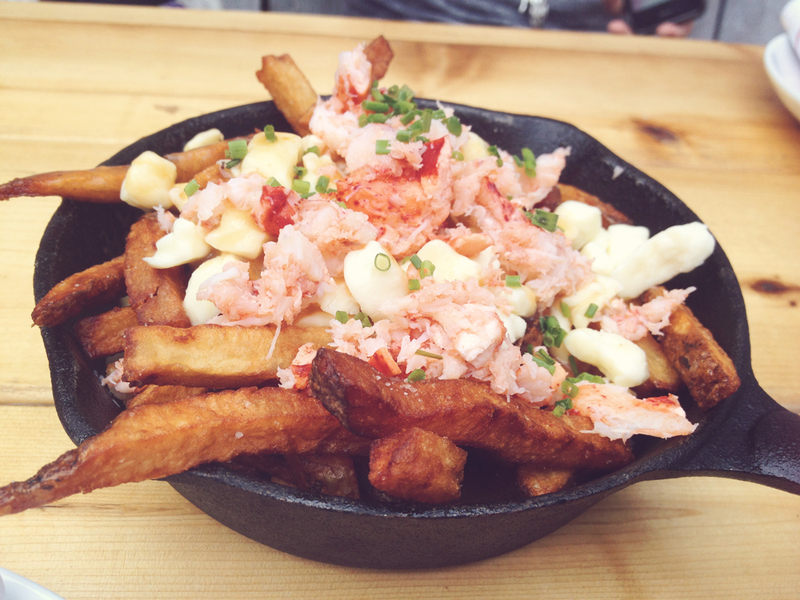 The Lobster Poutine ($13) had a lobster bisque gravy, fresh lobster and of course cheese curds and fries. 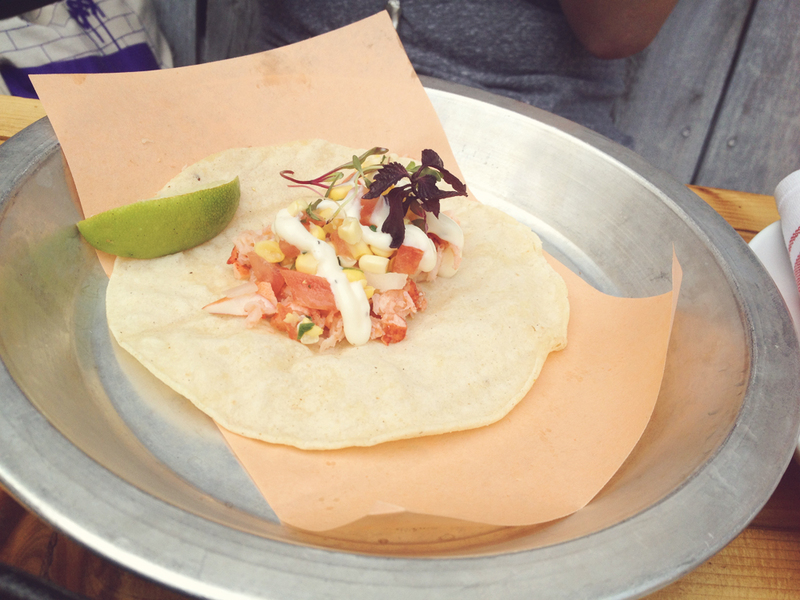 Melody had the Lobster Taco ($5). I assume it was delicious because she ordered a second serving. 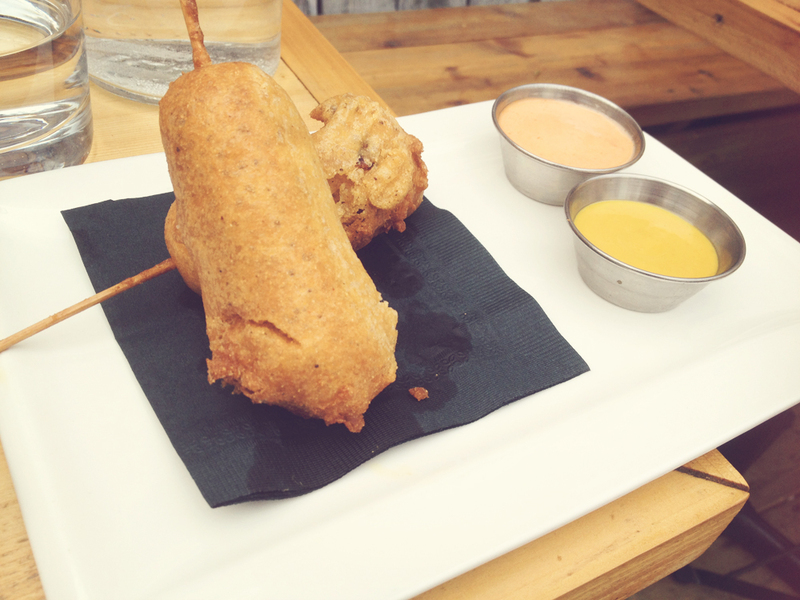 We also shared these Bacon Wrapped Corn Dogs served with mustard and a sort of hot sauce. I can’t refuse bacon wrapped things. 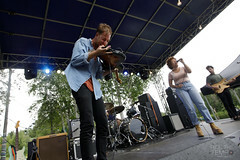 It wasn’t too heavy either. 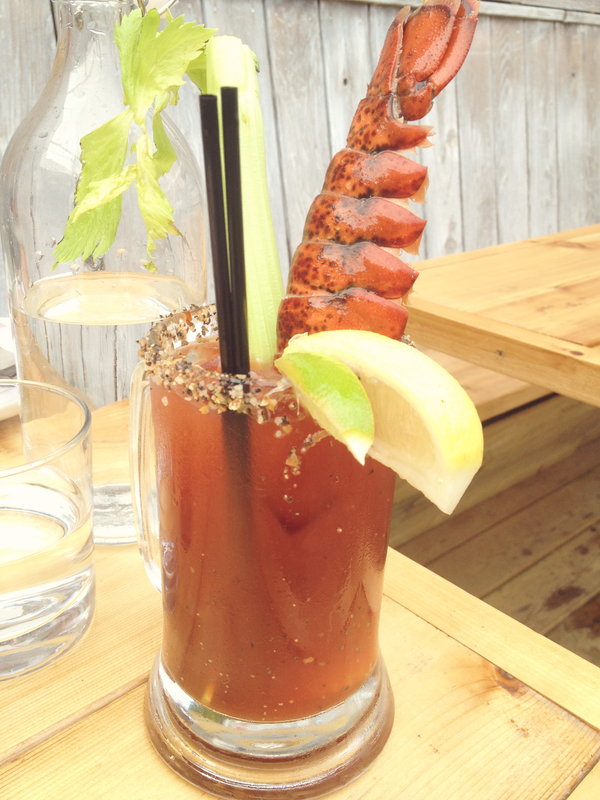 By far my favourite thing was the Rock Lobster Ceasar ($12). I regularly hate ceasars but this one was perfectly seasoned and spiced. 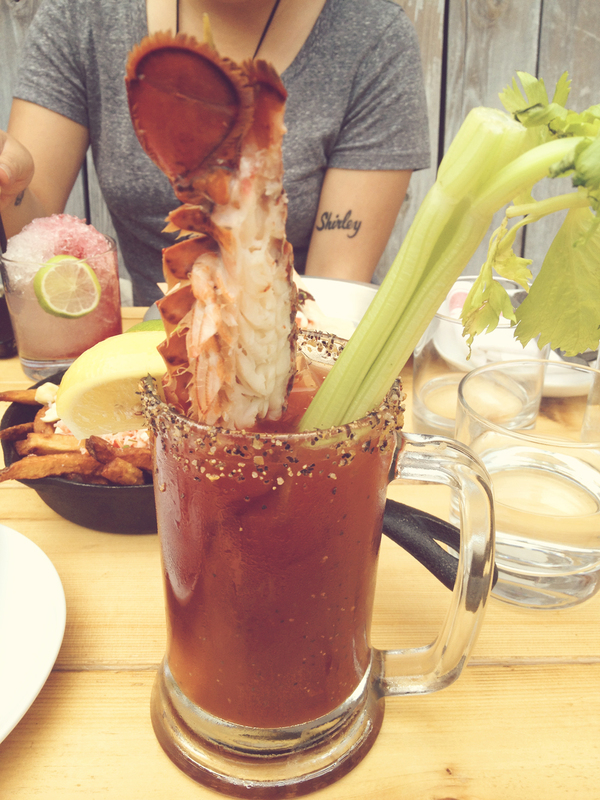 Oh and of course the fact there was a lobster tail in it, which I dipped in the drink for extra deliciousness. Me and Nash went back to Rock Lobster and had these delicious scallops on the house! We originally ordered Devilled Eggs and I guess they ran out and forgot to tell us. So we were rewarded with these divine scallops instead. We didn’t even complain or anything. This is customer service at its finest. Next Post Loot Crate- July Edition!